Skip Groff — a record store owner and a fixture in D.C.'s punk and alternative music scenes — has died. Groff's wife, Kelly Groff, confirmed to Washington's WTOP that her husband passed away at MedStar Montgomery Medical Center after suffering a seizure at home this past Monday (February 18). He was 70. Born in in Waltham, MA, in 1948, Groff first entered the industry as a promotions manager for RCA Records in the mid-'70s and briefly worked as a DJ, program director and music director for radio station WINX in Rockville, MD. He then opened Yesterday & Today Records in the city in 1977. Names that are now fixtures in punk rock history soon frequented Groff's store in search of the genre's nascent sounds, with some eventually working as shop clerks. As Groff told the Washington City Paper in 1997, "People like Henry Garfield, who became Henry Rollins, Ian MacKaye and his brothers and sisters, and bands like Government Issue — they'd be in here on almost a daily basis, looking for stuff from the West Coast, the newest punk bands out of England. We all became very close." Groff also briefly operated a label of his own, Limp Records, and inspired MacKaye and Jeff Nelson to form Dischord Records. Groff's production credits for the latter include work with Minor Threat, Teen Idles, Youth Brigade, State of Alert, Black Market Baby and more. Over the years, Ian MacKaye worked at Yesterday & Today, as did fellow Fugazi bandmates Guy Picciotto and Brendan Canty, in addition to Razz/Tommy Keene bassist Ted Nicely, Kim Kane (Slickee Boys), and Velocity Girl's Archie Moore and Jim Spellman. Henry Rollins also reportedly helped at the shop. 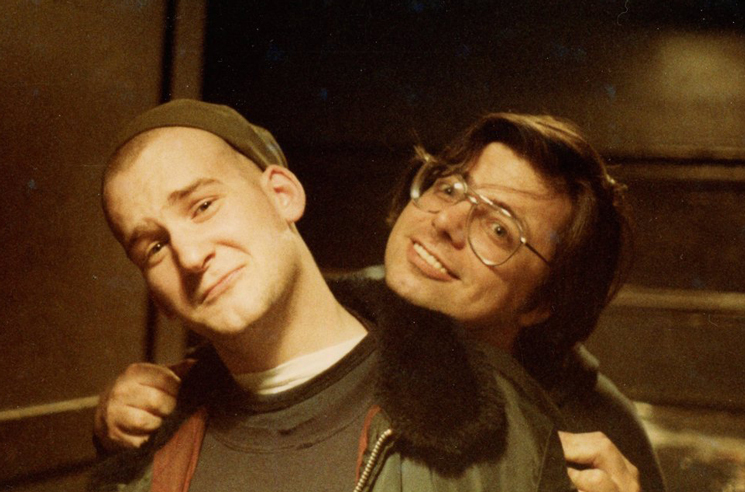 "To say that that Dischord Records wouldn't exist had it not been for Skip Groff isn't really a stretch," MacKaye and Nelson wrote in a statement today. "The very fact that he had his own label was a huge inspiration to a bunch of D.C. kids who had no idea how the music industry worked or that the ability to create records would be within our reach. And it was Skip's record shop, Yesterday and Today, that first sold our records and it was Skip's trust in us and belief in the label that led him to lend us money to press records when we were completely broke." Find reaction to Groff's passing from listeners and industry counterparts below. rest in peace to my pal Skip Groff. His record store, Yesterday & Today, is the stuff of legend. A home for so many of us young punks in the late 70s. He started LImp records - produced & released many DC bands (including two of mine), and had an encyclopedic knowledge of music.